For 32 years, always exemplary and initiatory, elected among the 50 best Chinese Orthodox restaurants, the Shan brothers' kitchen is in this peaceful corner of the city center. Apart from the regulars, nobody would bet a yuan on the facade and yet, the most exciting Chinese cuisine in the city has been working behind these walls for years. You must of course reserve your corner of the table, the service being only in the evening, and be convinced by this culinary journey that takes you to Cathay country by express flight and through five amazing and exciting plates, served together. after the theory of the five elements, according to the Chinese tradition. You drink tea or a little wine. 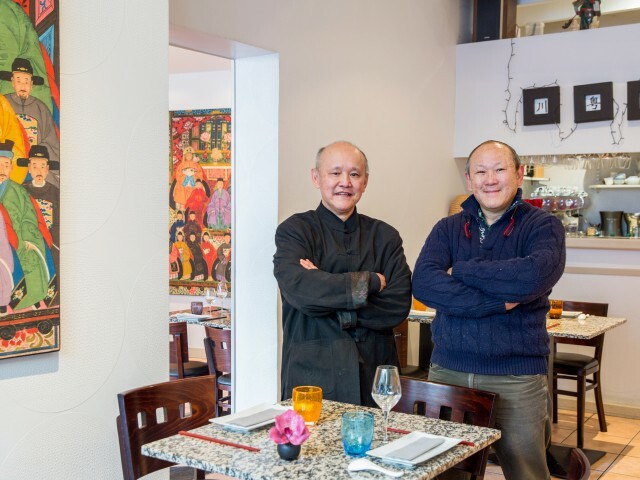 The Shan brothers are happy to share their passionate cuisine inspired by their traditions.